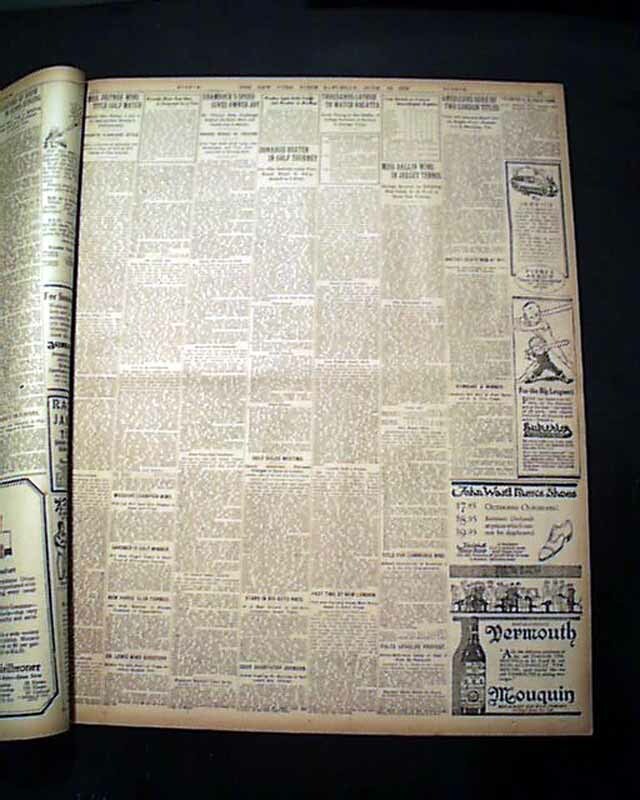 A very significant issue for any Lou Gehrig collector as this newspaper contains the very first mention of Lou Gehrig for his baseball prowess (one earlier mention was for football) in this venerable newspaper. 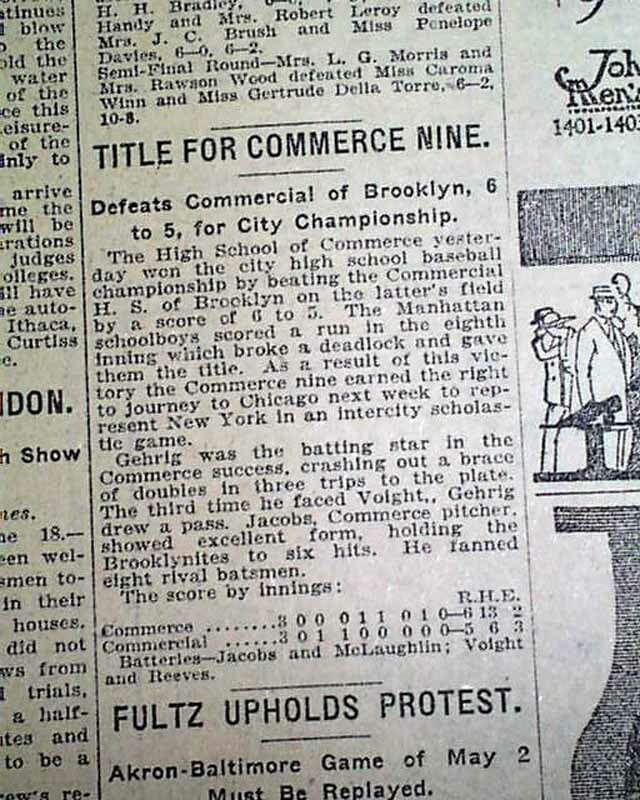 Page 17 contains a rather short report headed: "Title For Commerce Nine" "Defeats commercial of Brooklyn, 6 to 5, for City Championship" with the report mentioning: "Gehrig was the batting star in the Commerce success, crashing out a brace of doubles in three trips to the plate. 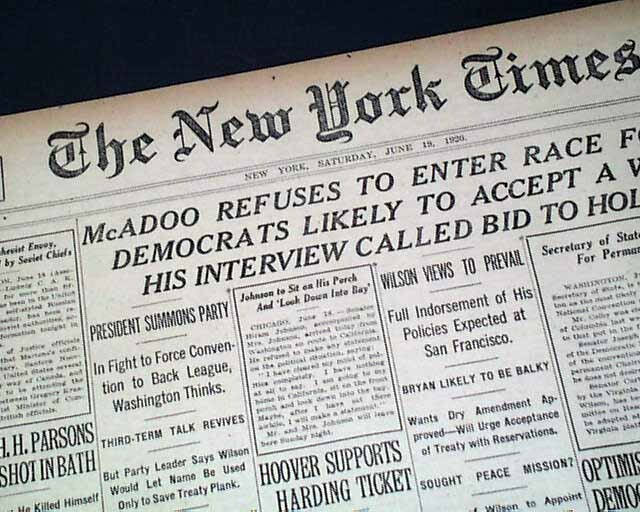 The third time he faced Vought, Gehrig drew a pass..." (see images). 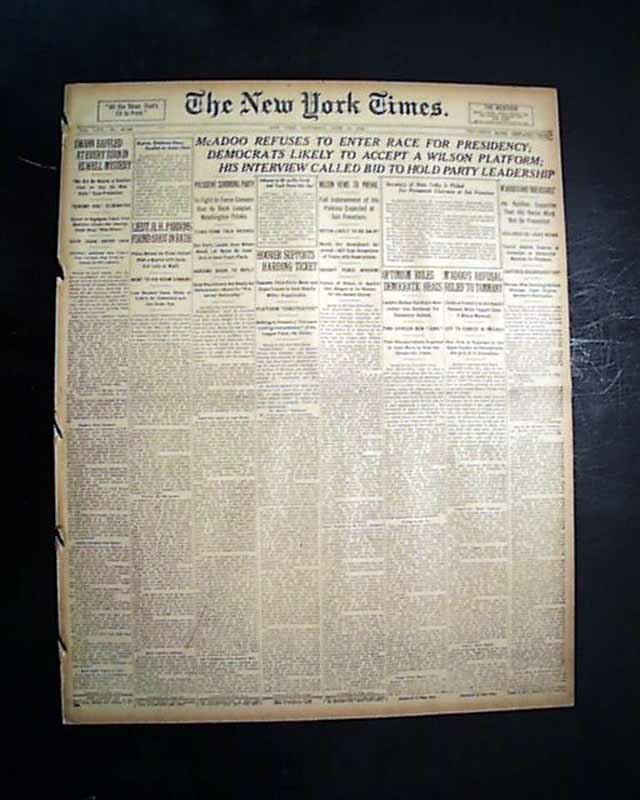 Keep in mind that Lou Gehrig was 16 years old at the time of the game; the date of this newspaper was his 17th birthday. Complete in 28 pages, a few small binding slits along the spine, generally nice.